Shortly after he attended the Yankee Stadium anniversary event, Ruth was back in the hospital. He received hundreds of well-wishing letters and messages. This included a phone call from President Harry Truman. Claire helped him respond to the letters. On August 16, 1948, Babe Ruth, 'The Sultan of Swat' died of cancer at the age of 53. He's known not only for his home run records but also for his colorful personality. He ended up hitting 60 home runs in 1927 which was not surpassed until 1961 by Roger Maris. Unfortunately, Maris would also die young (51) of cancer. Read about baseball and other American sports. After baseball, Ruth lived a quiet life with his second wife Claire. He had married his first wife, Helen, in 1914 when she was a 17-year-old waitress. The couple had separated by 1926 and the marriage ended tragically when Helen died in an apartment fire in January 1929. Ruth married Claire within three months; they remained together until his death. During the fall of 1946, Ruth was diagnosed with a malignant tumor on his neck. His health began to decline quickly. Baseball fans honored him on April 27, 1947, which was declared Babe Ruth Day for every organized baseball league in the United States. 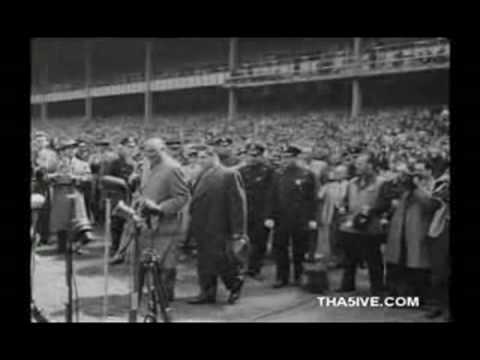 His jersey number 3 was retired at his last appearance at Yankee Stadium on June 13, 1948, which also commemorated the stadium's 25th anniversary. 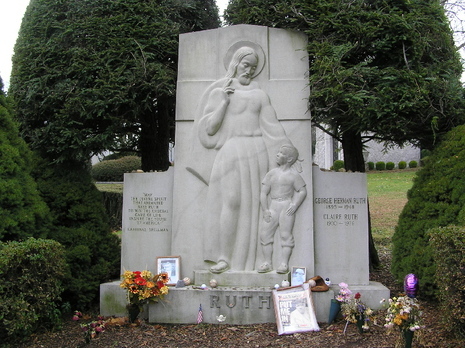 Ruth died on August 16, 1948. More than 100,000 people paid their respects at Yankee Stadium and at his funeral at St. Patrick's Cathedral in New York City.